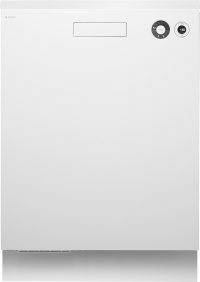 ASKO - Dishwasher Options - Built-in & Integrated For All Households! Australians who previously considered dishwashers an optional extra are beginning to have second thoughts, thanks to contemporary, fully integrated ASKO appliances. It’s true the dishwasher isn’t required after every meal, but when you need to clean up fast after a big event in your home, an ASKO dishwasher can be indispensable. Modern homes are large, entertaining spaces where friends and family gather, making a hard working ASKO dishwasher that can be showcased or hidden out of sight a big plus. The Turbo Drying system allows your ASKO dishwasher to eliminate moisture after washing is complete, leaving your dishes dry and your glasses free from spots and streaks. Some models (D5896SSXXL and D5896FIXXL) feature Turbo Drying Express, which pumps in hot air and can shorten program times by around 30 minutes. 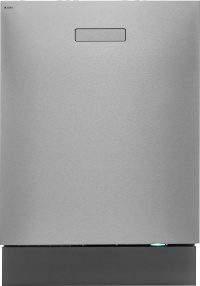 Which brand of dishwasher is the most reliable? It would be unfair to denigrate competing brands, although we can tell you what to look for in a reliable dishwasher. ASKO has been a dedicated appliance manufacturer for generations, resulting in unbeatable products and a focus on convenient solutions for your home. 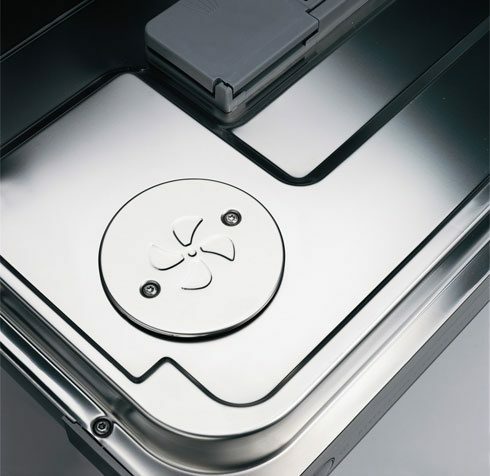 ASKO dishwashers are part of the new breed of appliances, where computer technology provides dramatically enhanced options compared to outmoded circuitry. ASKO is fast becoming Australia’s favourite brand of built-in and fully integrated kitchen and laundry appliances. It’s understandable, with over 600 ASKO agents Australia-wide and the opportunity to fit out your entire kitchen with ASKO appliances installed by certified ASKO technicians. ASKO focuses on minimalist Scandinavian styling that harmonises form and function. ASKO dishwashers are easy on the eye, easy to operate, and even self-clean so they are always ready for the next dishwashing load. 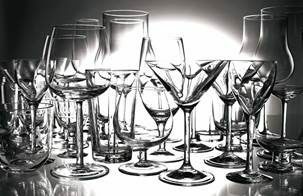 Prior to the arrival of quality ASKO products on Australian shores, dishwashers had a bad reputation for longevity. In fact, many people stopped using their dishwasher even if it was in reasonable working order. 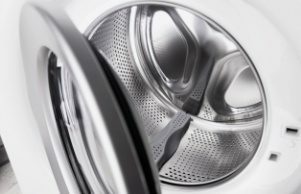 Reasons for the slower than expected uptake of dishwashers included restrictive dishwasher functionality, poor dishwashing capability, cramped storage baskets and wasteful energy and water use. Modern ASKO dishwashers are the opposite. They have amazing multifunctional programs, targeted jets of piping hot water, abundant basket space and innovative power and water saving solutions. Make no mistake, dishwashers are here to stay, and your investigation of dishwasher options for your home should include premium ASKO appliances. How much soap to put in a dishwasher? If you are adapting to the healthy world of ASKO appliances, you can cut way back on the amount of dishwasher soap you use. 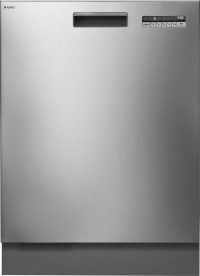 Today’s ASKO dishwashers are a world apart from the no-name models of yesteryear and use far less water. With ASKO, water use is minimised and optimised by targeted and powerful spray jets of piping hot water that obliterate stuck on foodstuffs and cooking oils. ASKO means environmentally friendly dishwashing with a minimum of detergent for a maximum clean. 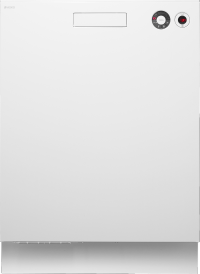 Should I look at fully integrated or freestanding dishwashers? 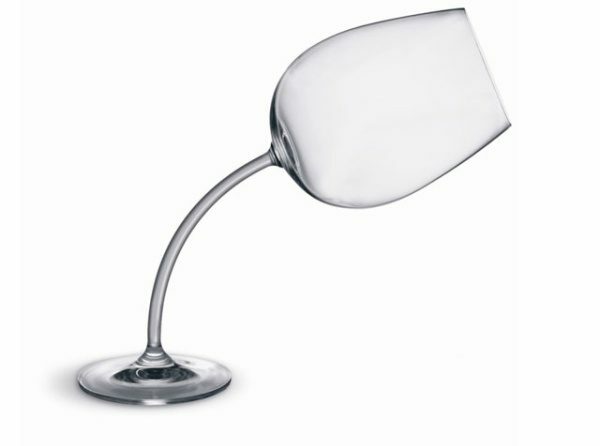 The type of dishwasher appliance you purchase should be decided by the layout of your kitchen. Contemporary Australian homes boast large walkthrough kitchens that double as meeting/greeting spaces, and your appliances can be a real feature. You may even choose to integrate your dishwasher with an ASKO oven, cooktop, rangehood, wok burner and refrigerator for all-round kitchen excellence. Full integration is the popular choice in most new builds and home renovations. Styles come and go, but there are a lot of advantages in having fully integrated appliances. In older homes, the kitchen and chef were isolated from the rest of the house. This is no longer the case, and modern home owners appreciate food preparation areas accessible to dining areas and buffet-style counters where friends can gather at any time. Integrated appliances give you the extra space you need. Built-in and fully integrated ASKO dishwashers and other appliances fit seamlessly within standard sized cabinetry spaces. With a little advance planning your new build or renovation can showcase highly desirable products built using state of the art technology and superior workmanship. ASKO dishwashers work together with other ASKO appliances to save you money for their entire lifetime. The up-front expense of purchasing a premium ASKO product is repaid with every power bill, thanks to high energy-star ratings, highest-quality materials, single-piece components, the self-cleaning program and more. 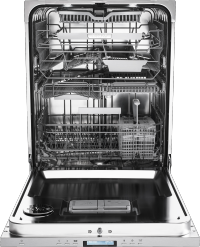 ASKO dishwasher options include convertible drawers, flexible racks, accessibility features and multiple jets of targeted hot water. 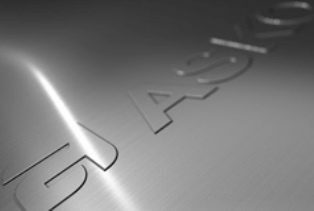 If you want commercial quality appliances for your household, look no further than ASKO. 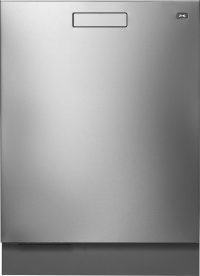 How do I know if dishwasher water and energy efficiency is good? For some people, an ASKO dishwasher will be the final link in the integrated kitchen appliance chain. 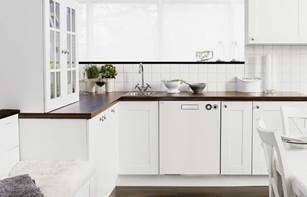 The size and style of your dishwasher can be matched to suit household needs, and you can even have an ASKO trained technician install the product, which includes a 1-year guarantee for workmanship. 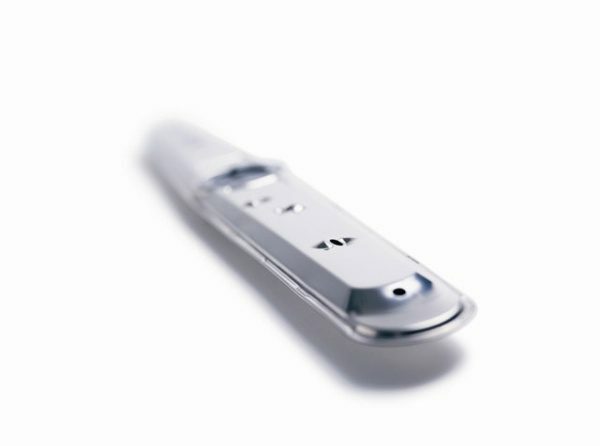 There are lots of water and energy efficient innovations that set ASKO apart from the competition, such as intelligent design for maximising efficient cleaning and removal of waste. With ASKO dishwashing, dirty water is removed during the cycle and every blast of piping hot water adds to the sparkling finish. At ASKO, we make complex chores easy. From the moment you commence investigating dishwasher options at your local appliance retailer, you will notice the energy-star and water-star ratings advertised. All new appliances for sale in Australia are required by law to include these ratings, and ASKO couldn’t be happier. Our dishwashers all boast incredibly high energy-star and water-star ratings that you can have confidence in. 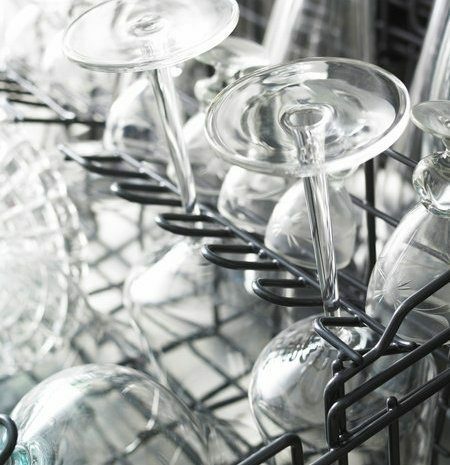 Your ASKO dishwasher will do the pre-rinse for you, automatically saving a sink-load of water. Although hand-washing of dishes was the most effective means of getting the job done in the past, the new wave of dishwashers offers an entirely new approach. Your ASKO dishwasher will wash dishes faster, better and with less water than it takes to fill up the sink. High energy-star and water-star rated ASKO dishwashers use as little as 10 litres of water and 1 kilowatt-hour of energy per load. Your ASKO appliance can handle extremely hot water that hands can’t touch, allowing your appliance’s cleaning action to cut through the grease and grime in no time. 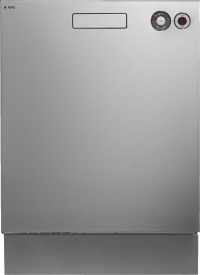 Does ASKO have online or in store buying guides for the best dishwashers? The ASKO reputation as one of Australia’s leading appliance brands hasn’t occurred by accident. Our highly-regarded reputation has been built on customer satisfaction and a reputation for reliable, hard wearing products. 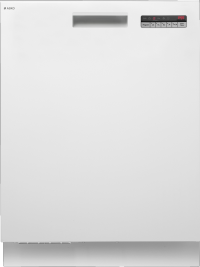 The minimalist exterior of your ASKO dishwasher conceals amazing versatility, powerful cleaning components and the seamless integration we are known for. A 6-star ASKO dishwasher that can do everything in one go is the sensible alternative to an overused and unsustainable smaller dishwasher. 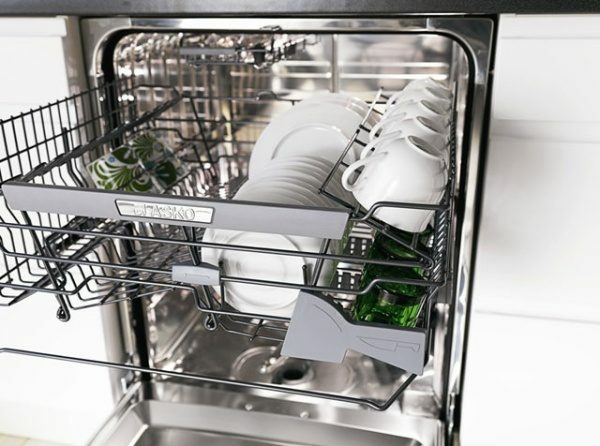 ASKO provides dozens of dishwasher options for the perfect kitchen complement, and if yours is a household where dishes pile up fast, ASKO will handle the tough stuff. ASKO dishwashers are easy-stacking, adjustable, programable and self-cleaning, allowing your kitchen to keep up with the busiest of catering assignments. With more than 600 ASKO agents around Australia, and every product backed by superior after-sales service, there is bound to be a retailer near you showcasing some of our latest products. 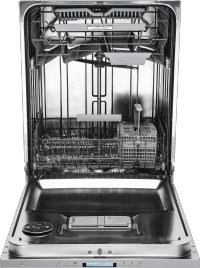 Speak to your in-store expert or explore the ASKO website and user manuals for the full range of dishwasher possibilities. 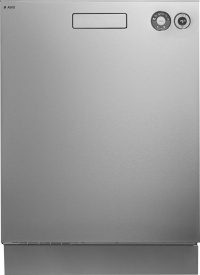 What else should I look for in a built-in dishwasher? That’s a good question, as contemporary ASKO dishwashers boast dozens of special programs and features designed to make life easier. 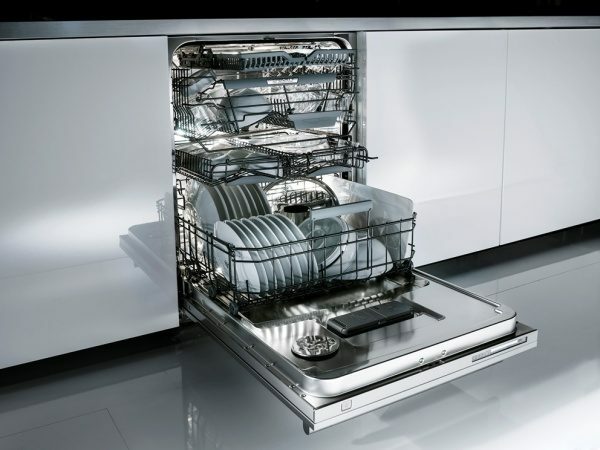 Here are just a few ideas from the ASKO range of dishwashers available in Australia. Full integration with ASKO is much more than the fit alongside cabinetry; it also includes the advantage of amazing programs that include Eco wash, Hygiene wash, Plastic wash, Sanitation wash, Quick pro wash and Self-cleaning with high temperature, to name a few. 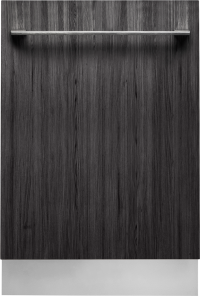 With a fully integrated dishwasher, your cupboard and pantry door choices are stylised to match. In other words, when your ASKO dishwasher or other appliance isn’t being used, you can simply close the door for seamless integration. 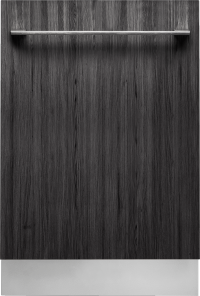 The panelling creates a sense of space, and there is nowhere for scraps and dust to gather, making cleaning your showpiece kitchen a breeze. This large appliance is designed to last for years. The solid, single piece components, superior stainless-steel, seamless manufacture and user-friendly controls all add up to an ASKO dishwasher you can trust. Whether you wash dishes on-the-fly, or plan to showcase your dishwasher while entertaining, ASKO will exceed all expectations and keep the good times rolling. What about warranties and after-sales service? 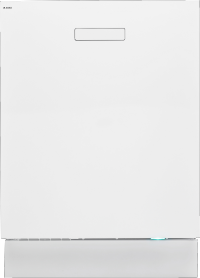 This should be one of your first considerations if you are purchasing a new dishwasher. The best appliance manufacturers are able to back up their products with an extensive warranty and other services. An automatic 2-year warranty applies to all ASKO kitchen appliances, and you even have the option to upgrade for an extended 3-year warranty. We have confidence in our products, and we are proud to offer installation, maintenance and repair services carried out by ASKO-trained technicians. You can decide at the time of purchase if you want an extended warranty that includes 24/7 access to the ASKO mobile repair service. 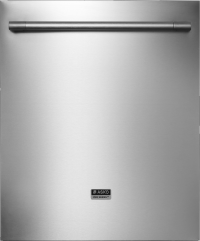 ASKO dishwashers are easy to maintain and operate courtesy of the high-definition user interface, stainless steel components, and adaptable programs. However, on the rare occasion a malfunction occurs that can’t be easily resolved, a qualified electrical appliance professional should carry out any required repairs. If you meddle with your dishwasher’s mechanisms you can lose your warranty, and ASKO makes service and repair convenient, so it makes sense to call ASKO or make an online service request if your appliance is malfunctioning. 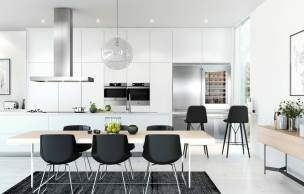 As an Australia-wide purveyor of some of the finest appliances available on the planet, ASKO is ready to respond to your request for sales, installation and service to ensure you are totally satisfied with your product. For more inspiration regarding dishwashers, or the entire range of ASKO appliances, contact your nearest retailer today or investigate our products online. 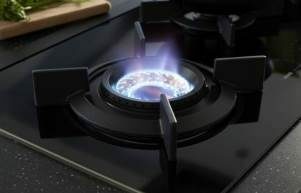 ASKO remains a market leader in appliances for all the right reasons, and we invite you to discover them for yourself.